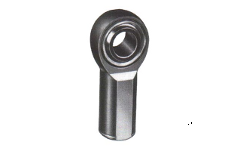 These torque sensors can be used to measure torques up to 150 Nm. When combined with our DI-1000 USB Interface and SensorVUE software, you get a very easy to use solution that lets you display, log and plot torques in real time. Simply connect the load cell to the DI-1000U Digital Load Cell Interface & use the USB out port on the DI-1000 to connect to a PC via the USB port. The DI-1000U is a signal conditioner and 24-bit digitizer and handles all the communications functions to talk with USB port of a PC. 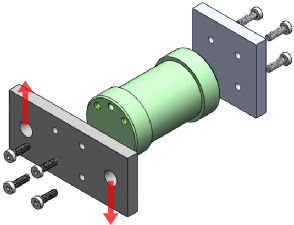 When connected this way, the load cell appears on the PC as a virtual COM port. Using a standard terminal emulator you can send commands to the sensor to display loads on screen. They can either be one at a time or in continuous operation mode. You can also use Matlab, LabView or other popular programs to communicate and get calibrated readings from the load cell. Alternatively, use our application SensorVUE to display, log or plot load measurements on a PC. You can see a video demo of the torque sensor and how it is used to measure torques via our DI-1000U 24-bit USB interface. You can use this load cell wirelessly by connecting it to our DI-1000ZP wireless load cell interface. This configuration allows you to wirelessly connect to a Windows/Unix/Mac computer. On a Windows platform, you can use our SensorVUE software to display, log and plot force vs time data effortlessly. Some users want a high level 0-5V analog DC output in order to work with existing data acquisition systems or PLCs. 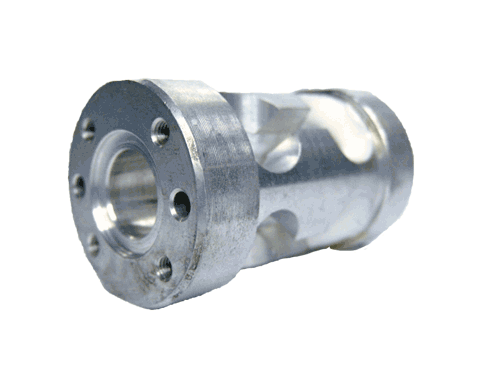 Ih that case, you can use this load cell with our AI-1000 Load Cell interface which provides an amplified 0.5 to 4.5V output proportional to the applied loads. We can provide the system together with calibration and the formula to convert from voltage to loads/forces when ordered in this configuration. If you are looking to develop your own custom software application, our digital USB wired and wireless sensor interfaces offer convenient ASCII commands to obtain calibrated information directly from the sensors without need for any signal conditioning or data processing. With just a few commands you'll be able to incorporate force/torque/displacement/level/acceleration or other sensor information directly into your application. You can use Visual Basic, Visual C++, Matlab, LABView or any other application development environment to create your custom applications with our displacement sensor interfaces. Once you've picked a load cell and max capacity, please select a wired digital or analog interface device if needed. We offer digital interfaces with Serial TTL/USB Output. Once you've picked a load cell and max capacity, please select a wireless interface device if needed. Some of the devices have optional rechargeable battery power. The AI-1000/AI-1000-CV are strain gage amplifiers is an interface designed to amplify strain gauges arranged in a full Wheatstone bridge configuration, and is suitable for many applications where a bridge or differential input amplifier is required. Normal data rate for DI-100U USB load cell interface is about 40 readings/sec and for the DI-1000U it is 80 readings/sec. You can add the high speed option to your order to get the data rate of the DI-100U to up to 275 readings/sec or the DI-1000U to up to 500 readings/sec. The high-speed option pricing shown below includes upgrade to the high-speed version of LoadVUE as well. After you've picked a torque sensor and interface device if needed, please select a calibration option from those shown below. It could be digital calibration or analog (0.5 to 4.5 VDC) calibration.